Maybe you have a blog or are thinking of starting one and you're looking for a little bit of advice. 1. Contact information: have it and have it in an easy to find place - like at the top of your blog. If you don't have a separate "Contact" tab then you should have your email address listed near or in your little welcome/bio that's with your picture. Sometimes that little welcome/bio section links to a Blogger Profile or Google +. If that's what you do make sure your email is listed on one of those pages. You can also have it on the "About" tab but if your "About" is longer than a couple of paragraphs you need to have it somewhere else, too. Also, I'm not a huge fan of contact forms. To me they are the equivalent of capchas. 2. Capchas - those little numbers and letters one has to type in to "prove you're not a robot" - don't have them. Yes, you will get spam but it is manageable. If you want people to dialogue and leave comments then try to make it as easy as possible for them to do so. Also, if you are a blogger and you think you don't have capchas it might be worth a quick double check. Several bloggers, myself included, have been known to grumble about the capcha just to find we had them activated on our own blogs. Also, a little update to agree with Rosie in the combox: link your email address to your comment name so when you comment bloggers can respond. Here Grace shows us how it's done. 3. Have a picture of yourself with a little welcome or bio. Have that picture at the top of your blog so you are greeting your guests every time they stop by. The welcome or bio or summary of what you blog about can be short and sweet, or more detailed, or creatively executed. Do what works for you and your personal style, though it can be good to check out how other bloggers have done it to get an idea for what suits you the best. 4. The title of your blog and the URL/ web address should be the same. I don't mind if there's a .blogspot.com or .wordpress.com with it, though it can be surprisingly cheap and relatively easy to buy a .com or .org. If you want people to find you and find you again then it's best if everything matches. Housewifespice is Housewifespice.com. Karen Edmisten, written by Karen Edmisten, is KarenEdmisten.blogspot.com. Super easy to remember or google. 5. Know why you're blogging. Is your blog your hobby, journal, or scrapbook? Do you do it for the community that comes with it? Are you trying to make money? Is it so you can feel good about yourself or become a mini celebrity? Blogging can make you feel insecure and little. Blogging can take you back to junior high and high school when you'd look across the cafeteria at the girls at the cool table except now you're looking at everyone's stats and hits and followers. Believe me, the devil is lurking in Google Analytics, just waiting to make you and me feel bad about ourselves because the number of hits one blogger gets in a month is what we get in a year. Be honest with yourself about why you're blogging and make sure you remind yourself of that every once in awhile. Remember, white space is good for the eye - it helps or even forces you to create a layout, organize, and prioritize. All those things will make your blog more user-friendly. 7. Make it easy for people to follow you and share your posts but don't hit them over the head with it. The first thing we should see should be you and your post. If we like what you've written then we'll share it at the end of the post... Also, if you have accounts on Pinterest, Twitter, Facebook, Bloglovin', etc then set up the little buttons so we can follow along. And if you're looking for those buttons, here's the ones I got from Carrie Loves, in a variety of color options, with information on how to put them on your blog. 8. Don't be mean. Sometimes you may want to write a post that is sarcastic and full of hell fire. Write it. Get it all out. And then delete that post and don't publish a post on the subject until you have calmed down. Don't make fun of people. Don't make statements that basically say "I like this and you like crap." Don't be harsh or condescending. Just don't be mean. 9. Read Anonymous comments in the voice of a friend. Think of someone you've known for awhile, who shares a lot of your values but doesn't agree with you on everything. Then every time someone comments anonymously read as if it was coming from your dear, old friend. Does it still sound angry, hateful, mean, bitter, or annoying? Probably not and so you don't have be offended or defensive. Can you not imagine your friend making that comment to you? Then Anonymous is a jerk and their comment can just be deleted and forgotten. 10. Have fun. Keep in mind #5 and keep blogging as long as you enjoy it. Write posts you love and engage with the people who read them. Be lighthearted, kind, and sincere. Delight in every comment and Facebook share. Cheer out loud when one of the bloggers you admire comments on your site or links to one of your posts. Blogging is a great way to connect with like-minded people from all over the country and world. Meet up with the people you connect with online. Have fun. "...the devil lurking in Google Analytics"...LOL!! Great tips Bonnie...now to find time to implement them. Any tips for that that don't involve less sleep? Great tips, Especially number 5! I blog because I like to wrote and I enjoy the actual process. I try my darndest to ignore Google Analytics, because you are so write...the devil is in Google Analytics. #2- I thought I had mine deactivated until my sister-in-law mentioned how difficult it was for her to comment. Ugh! It is very frustrating to write a comment and then have to deal with the capcha! Great tips! I totally agree with the captcha one. I rarely comment on posts that have that. Great tips Bonnie! Sometimes I feel like I am all over the place and just blogging to hear myself talk or read myself write, however that goes. Anyway, thanks for the info. I have my blog very clean, I don't like too much going on, except for the blogposts. I can't tell you how much I love this. I casually read a few Catholic mom blogs and always gravitate towards yours because you're kind. Your posts, even when they're about things I disagree with, are not sarcastic, condescending or rude like so many others. I hope you know how much your kindness brings to this world! I think those are really great tips! Thanks for sharing your thoughts. One of these days I need to do a little work to my little space, and you've got some simple things here that I'll keep in mind. Thank you SO much for including the link to the "contact" buttons site. I've been wanting to make some but didn't know how. Those are great…I can hardly believe she's giving them away for free! Great tips for a newbie like me :) Thanks Bonnie! #5 - Amen! Especially in our little Catholic mom blog world. Very helpful, Bonnie! When I dabble in HTML and don't burn the house down, gosh, I just feel so accomplished. 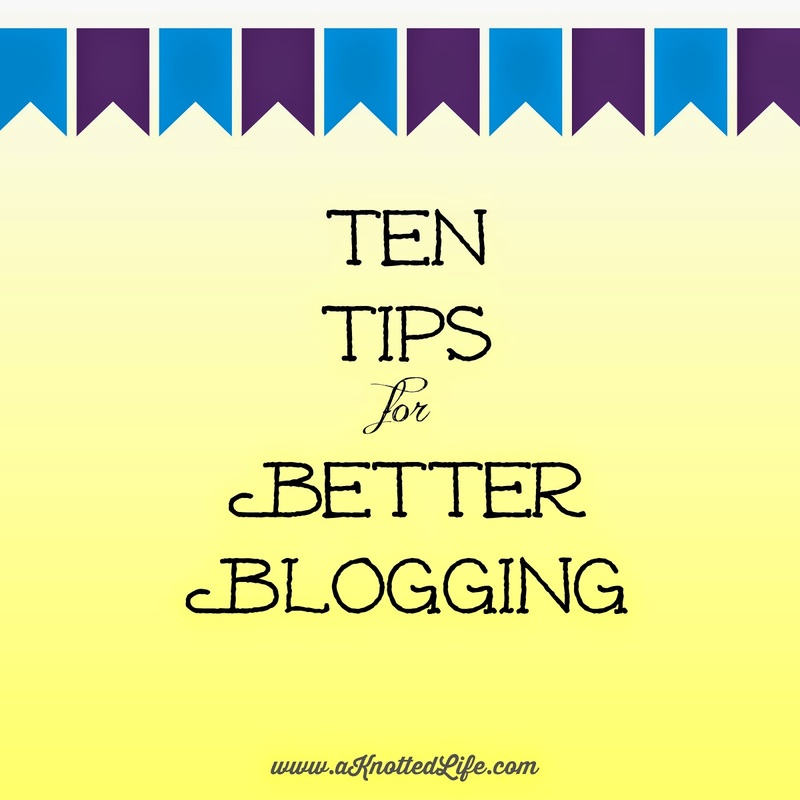 This was the best "tips on blogging" I have read. Love #5! Such great advice - thanks for putting this together, Bonnie!! Really loved this post, thank you Bonnie! I'm new to this world and this helps a lot!